Last Saturday in Mira (Portugal) the final of the official FCI One Loft Race was held. 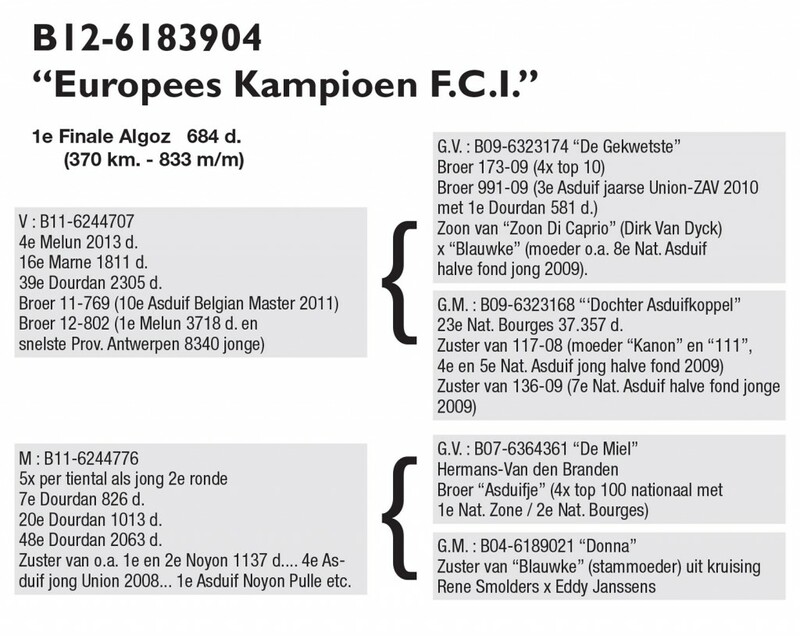 This race was also the official FCI European Championship which included entries from Belgium, Germany, France, England, Austria, Poland, Spain, Portugal, Switzerland, Bulgaria and Ukraine and from their National Champions. Danny Van Dyck … 1st Nat. 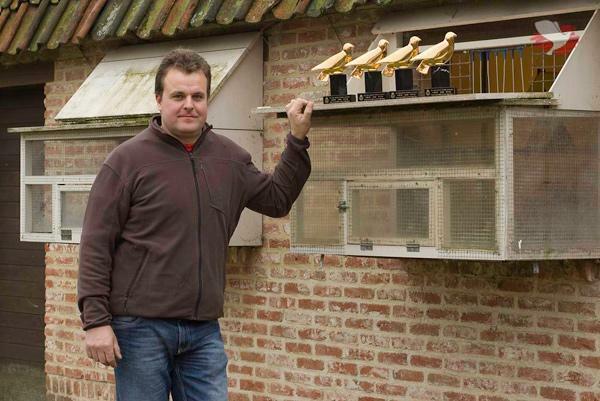 Champion Middle Distance young birds KBDB 2011 sent a pigeon off to Portugal … and after a grueling flight was crowned winner of the final race and with it he was crowned European Champion FCI! first Final Algoz 684 b.